Sun-soaked beaches, glittering blue pool surfaces and oceans painted by an orange-hued sunset have one thing in common: they’re the perfect background for falling in love. Who hasn’t felt that first wave of butterflies rise deep in their belly while pool side? Or that first quickening of the pulse when lounging on a lush patch of grass during a music festival? Summer is the perfect time to indulge in that sudden rush of first love or, equally so, the warm grip of long-fostered feelings for another woman. 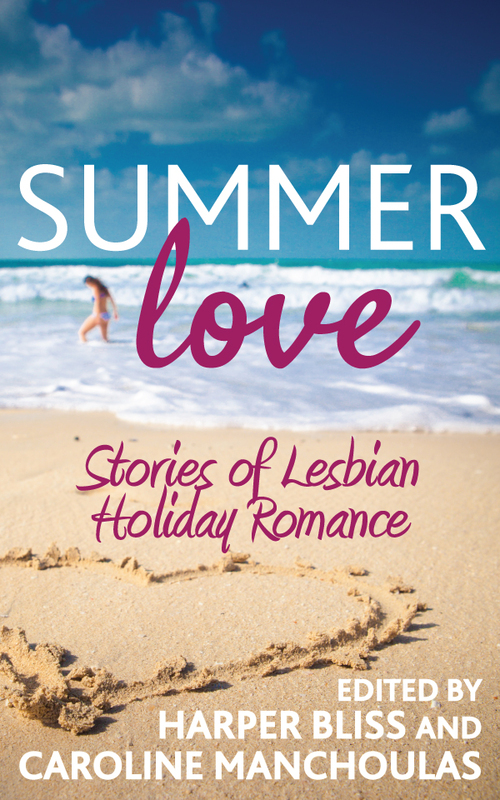 This collection of fourteen stories runs the gamut of lesbian holiday romance stories. An Australian cookery course, a Belfast coffee shop, and even a romance writers’ conference are some of the backdrops for the summer love that unfolds in this lesbian romance anthology. Tamsin Flowers’s Drive Me Crazy takes place during Glastonbury, while Katya Harris’s sensual tale of passion between long-time lovers is entirely set by the side of the pool. Newcomer Brooke Winters brings us an irresistible tale of a woman running into a Mistress she’s played with in Spain, while Lucy Felthouse’s heroine gets much more heat than she bargained for when she goes volcano-watching on Lanzarote. With stories by highly rated authors, including Annabeth Leong, Allison Wonderland, Erzabet Bishop and Harper Bliss, this collection is the perfect sensual companion to any holiday.